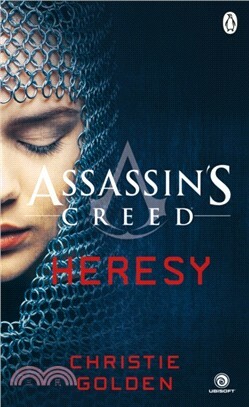 The new book set in the universe of Assassin's Creed. Reliving the memories of his ancestor who fought beside Joan of Arc, high-ranking Templar Simon Hathaway slowly uncovers secrets of the past that could dangerously impact his present . .
. and that of the entire Templar order. An endless conflict. An old wrong. Simon Hathaway, member of the Templar Inner Sanctum, brings a cool head and detached manner to his new role as Head of Abstergo Industry's Historical Research Division. Who is the heretic . . . and who is the true believer? Award-winning and eight-time New York Times bestselling author Christie Golden has written nearly fifty novels and several short stories in the fields of science fiction, fantasy and horror. Among her many projects are over a dozen Star Trek novels, World of Warcraft and StarCraft novels, three books in the nine-book Star Wars series, Fate of the Jedi, and the novelization of Star Wars: The Clone Wars unaired episodes.